Most people have fond memories of the caring treatment they received from their family doctor as they were growing up. From broken bones to routine checkups, their doctor was always there when they needed medical attention. Southern Maryland Medical Group is committed to maintaining a combination of old-fashioned skill and care with modern knowledge and technology. He was a geat Physician from what I can recall the wait was just ridiculous. When a patient is seeking medical assistance and he refuse to take the initiative to see what’s going on and say there’s nothing wrong. It time to seek medical treatment elsewhere. I requested blood work to see if I’m having any issues with my organs. Was very friendly and understanding. Would recommend to any and everybody. Excellent!!! I definitely will stick with him as a PCP. Very pleased! He’s awesome. I’ve been seeing him for a while now and will continue to see him. He's always straight upfront with you . He's the kind of doctor that's very informative and explains your diagnosis in lament terms. I really like his expertise and would recommend him to people in need of a doctor. Dr. Paul was very polite and listened to my concerns. He is a very caring doctor on the way in to the examination room he spotted a women who's bandage was coming off he attempted to fix it and asked a nurse to replace it the moment it wouldn't stay on.The compassion he expressed in such a short time is why I think he is a fantastic Doctor. He was very professional, all questions are answer. It was awesome well understood. Excellent. Very thorough and attentive. I was very satisfied. I highly recommend Dr Paul. He was very professional yet comforting. I will not look for another doctor anytime soon. the staff were also great. Dr. Paul, My visit with Dr. Paul was excellent. He explained my health results in an understandable detailed manor. I recommend his medical services if you are in the market for a Physician. Everyone was nice, courteous and professional and I had a good feeling when I left the office. Very efficient, professional and able to take on my main medical issues. Hope all problems will be handled. Excellent!!!! Dr. Paul is very open, easy to talk to, and extremely informative. The wait time was less than 5 min. I was the only patient in the waiting room at the time, but as soon as he was done with me the next patient was called back as I was coming out. Really pleasant man, and Im happy with my first visit. I Think Dr. Paul was very professional and he made me feel comfortable. I did not feel anxious or nervous and this was my first visit. The office staff were friendly, professional and knowledgeable. Good doctor and good staff. 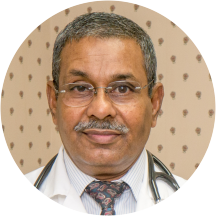 Dr. Paul Panavelil, MD has no appointments on Zocdoc right now.